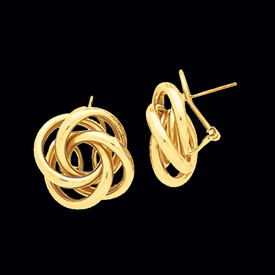 An essential in any jewelry collection, gold earrings are the most versatile accessories a lady can have. Artistic abstract earrings, elegant dangle earrings, beautiful ball earrings and superb stud earrings – we have a dazzling design for any occasion. Radiant 14k yellow gold puff design knot earrings. 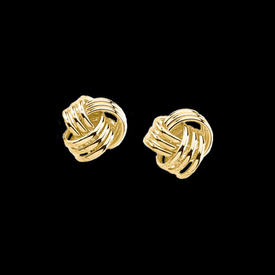 This gorgeous pair of gold love knot earrings measures 30mm across and although hollow has a flat back. Additional features include an omega back making these a comfortable easy wearing earring. Earrings weigh 6.68 grams. Fantastic earrings. 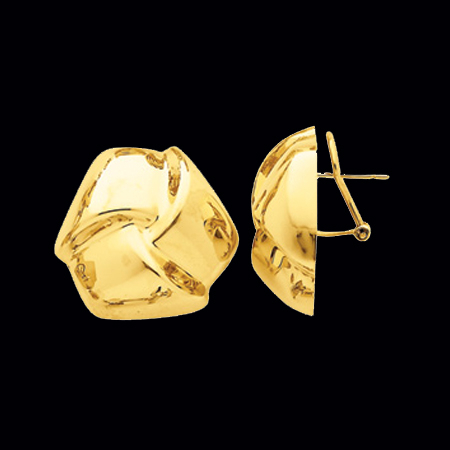 Trendy 14k yellow gold disk dangle earrings. This pair of earrings features a polished disk hanging from a hook then a very busy brush design larger disk below. Very stylish dangle earrings. Price is for the pair. 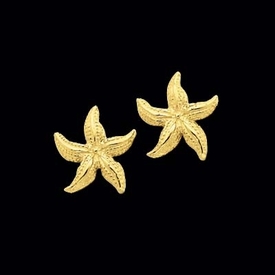 Fun 14k yellow gold Starfish earrings. 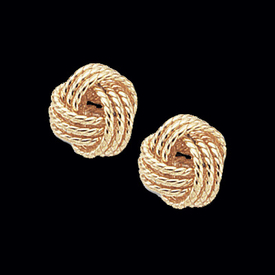 These nautical treasures are a great daily earring and measure 16mm across. These great earrings are a post style, weigh about 3.26grams, and feature a polished finish. 14k Gold Lighthouse earrings. Adorable Lighthouse earrings measure 16mm in length by 7mm across. (12.5mm - 1/2 inch). Great earrings for a day at the beach. Lovely 14k Yellow gold Twisted love knot earrings. These earrings measure about 11.5mm or .45" across. Great earrings for daily wear. Gold Starfish Earrings. 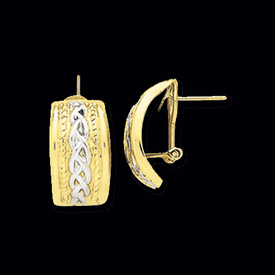 This pair of pierced earrings measures a noticeable 23mm across. Starfish weigh 4.9grams for the pair. Great beach treasures for your jewelry box.